At Cutis we are committed to providing personal, caring, quality cosmetic services with cutting-edge procedures, technology and products because our patients deserve nothing but the best. 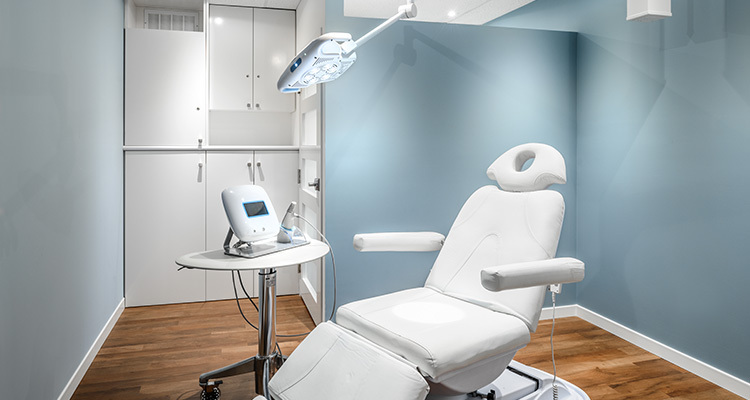 Nestled amidst the warm, vibrant Hamilton suburb of Dundas, Ontario, Cutis Cosmetic & Laser Centre envelops local and visiting patients in boutique luxury. With thoughtful attention to detail and discretion, the Cutis centre for aesthetic dermatology, advanced skincare and cosmetic facial surgery provides leading cosmetic services and treatments for total facial and body rejuvenation. Cutis specializes in fresh aesthetic solutions including laser, injectables and facial cosmetic surgery. As a luminary provider of such state-of-the-art technologies as Fraxel® and Thermage® CPT, Cutis provides world class technologies and techniques for unmatched safety and treatment outcomes. Our unique medical specialities – aesthetic dermatology and facial cosmetic surgery – allow for more comprehensive solutions and treatment options, tailored to fit each unique patient. Our advanced skincare boutique hosts sophisticated, medical-grade skincare along with professional advisors, expertly trained to customize simple, effective homecare solutions for all skin types and conditions. Leading skincare lines have been hand-selected after careful research for their ability to deliver clinically proven outcomes. Cutis Cosmetic & Laser Centre is dedicated, above all, to unmatched care and experience. We pride ourselves in creating an inviting, transcending medical environment. Luxurious finishings transport our patients from the bustle of the day-to-day into a serene, elegant atmosphere. We look forward to introducing you to Cutis Cosmetic & Laser Centre. For a private tour or professional consultation, contact our coordinators today. Lavish, boutique skin care awaits you – at Cutis.